Heyo! My blog seems vry active hah! Hualala! Sticky sticky! Eat rdy sweet sweet de! Thank u 4the sticky! you r nt sweet! 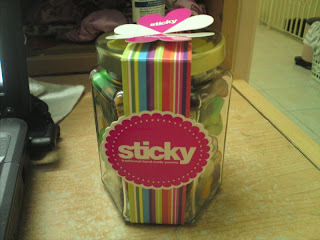 U r sticky,haha! I knw u wan me to stick u oni ma. waHaha..kk, til then bb! Hv a gud weekend!